Eagles represent power, courage and connection to spirit in native American culture. 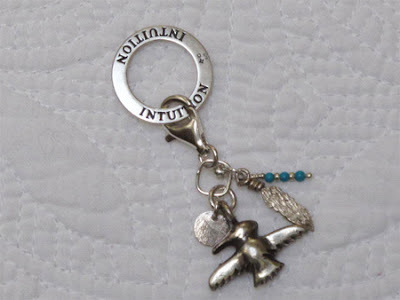 This little Chi charm is a nod to the world of spirit and a reminder that our best guide in life comes directly from within. It's name is Intuition, and it visits in the form of voice - the one who speaks so softly it compels you to listen. "charming" ( who could let that pass?) very nice, has probably sold already.